This lovely Mayoral t- shirt has already been wowing our customers in our shops. 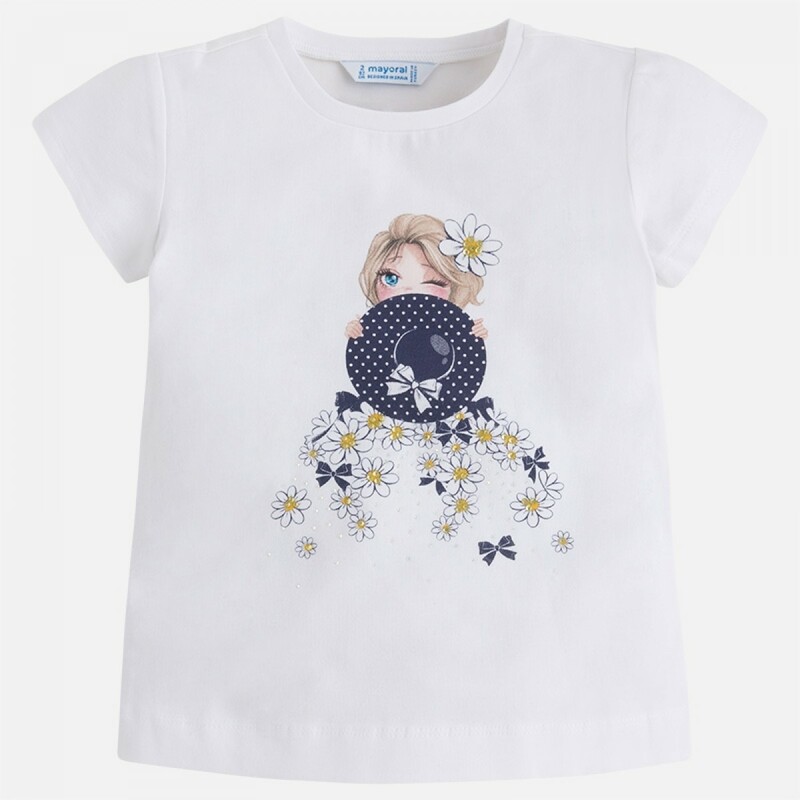 Beautifully designed in a soft cotton mix, the enchanting summer flower motif with a stunning crystal appliqué detail make this a charming, unique and stunningly beautiful piece that your little one can wear any time, any place, and always look totally incredible. It's one of those designs that you can match with anything and it will lift the outfit to something really stylish and elegant. The attention to detail is genuinely stunning - we love the beautiful scattered flowers.! The gorgeous appliqué crystal finishes all over the design, make it a really special piece.